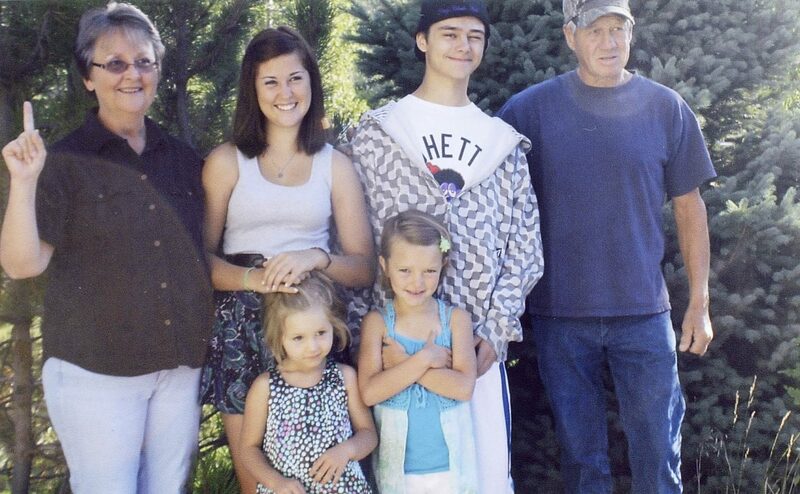 Chris and Larry Appel are pictured with their four grandchildren, clockwise from bottom right, Abi, Maya, Madison and Christian. A memorial service for longtime Steamboat Springs residents Larry and Chris Appel is at 11 a.m. Monday in the old gym at Steamboat Springs High School. The service will be followed by a reception in the commons area. Food will be provided. In lieu of flowers, donations can be made to the Larry and Chris Appel Memorial Fund at Wells Fargo in Steamboat Springs. Checks made out to the Larry and Chris Appel Memorial Fund can be mailed to Yampa Valley Funeral Home, P.O. Box 776090, Steamboat Springs, CO 80477. Donations will benefit the couple’s grandchildren. Steamboat Springs — Steamboat Christian Center Pastor Troy Lewis witnessed an outpouring of sadness and concern Thursday as friends and family coped with the suicide of Larry Appel and the murder of his wife, Chris. An autopsy performed Thursday morning showed that Chris Appel died at about 6 a.m. Wednesday after being shot multiple times. Routt County Coroner Rob Ryg said it appeared Larry Appel may have died a couple of hours later from a single self-inflicted gunshot wound. Relatives found the couple at their home on Routt County Road 33B southwest of Steamboat Springs after Chris Appel did not show up for work. Routt County Sheriff Garrett Wiggins said Thursday that Chris Appel was found in the living room. Larry Appel was found in a bedroom with a .22-caliber handgun at his side. Toxicology test results are not expected for a few weeks. Friends and family members might never know what triggered Larry Appel to shoot himself and his wife. That is often the case with suicides and there are questions that never have answers, said Ronna Autrey, of Reaching Everyone Preventing Suicide, a group based in Routt County that is offering counseling services to those impacted. Keith Appel, the couple’s son, said he thought financial struggles played a role and had strained his parents’ relationship, but he said that throughout the hardships, his mother stayed a devout Christian. Chris Appel began attending the Steamboat Christian Center about five years ago, Lewis said, and throughout the years, she had volunteered in the children’s ministry as a greeter and was on call to help anyone who needed it. “She kind of bounced around wherever she was needed,” Lewis said. There are many Appel relatives in the Steamboat community, but Chris Appel, who worked as a nurse at Yampa Valley Medical Associates, was especially well-known and loved, Lewis said. To accommodate all those people, the memorial service is being held at 11 a.m. Monday at Steamboat Springs High School. For now, Lewis said Appel family members are leaning on their faith. “I think what the family is trying to focus on is not on how they died but how they lived,” Lewis said. While deadly violence does occur in Routt County, it is rare, and many in the community remain shocked by what happened. She said domestic violence rates in Routt County are just as high or higher than they are in other Colorado communities, and she regularly works with victims who have faced lethal threats. As recently as April, Steamboat resident Robert Cash was sentenced to 38 years in prison for crimes against his former wife that Judge Shelley Hill described as unthinkable and tantamount to torture. He was found guilty of attempted first-degree murder for shooting his then-wife, Rhonda Heaton, in the back of the neck June 11, 2010, at their west Steamboat home. Despite a gunshot wound to the chest, Cash was unsuccessful in committing suicide. The last murder-suicide in Routt County was a double homicide in September 1991. Bill Coleman, 45, shot to death his estranged wife, Jan, and her boyfriend, Luke McKee, at a Steamboat home. Coleman shot himself the same day and died a few days later.